Pro's - being a vegetarian for over 35 years the fact that it's vegan friendly and cruelty free were huge pluses. That and that it's 100% natural - you know me, all about saving the planet one day at a time. And in a nutshell it works, my teeth are definitely whiter, which, you know, was the purpose of the exercise. Con's - You have to not mind having a mouthful of grey LOL Oh, and being extra careful when rinsing, unless you want your bathroom redecorated! And it would be helpful to have slightly more information on the tub, e.g. how long before I notice amazing results, did I still need to clean my teeth as normal first? Recommend? 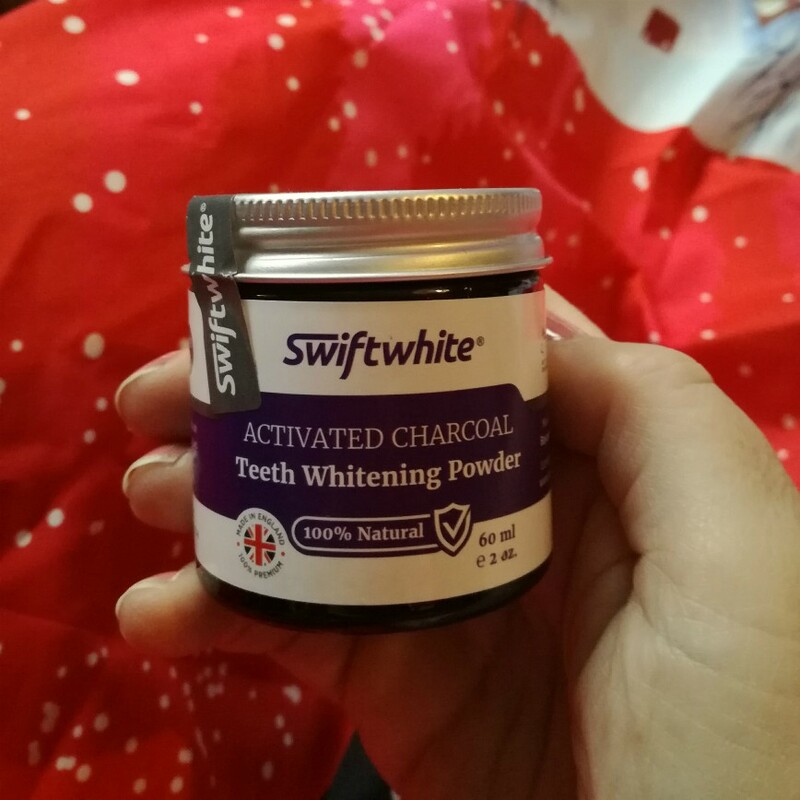 Absolutely, who wouldn't want whiter teeth without all that bleaching and chemicals? I did Crest whitestrips once when they first came out. They seemed to work but man they were slimy when they were on.